April is here, hooray! The weather is finally starting to get warmer! Meaning it's going to be time to ditch my huge boots and thick socks and wear some cooler clothes so that I don't end sweating and looking like a state while I'm drinking Pimms at garden parties (well at least that's what I hope I'll be doing). 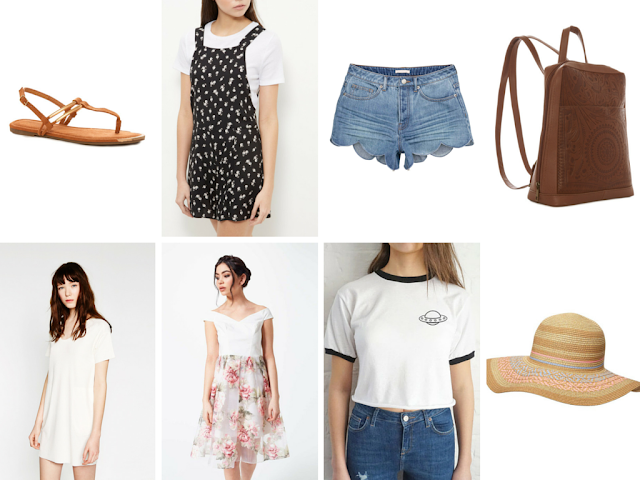 I've featured items that I think would be great for both Spring and for Summer. I need to go and do some serious shopping soon! I hope you enjoyed seeing what bits I'm currently lusting after this April, did you like any of these clothes? What are you buying come pay day? I know they are so cute I definitely will be picking up a pair. I know I'm so through with the cold weather! Thanks for stopping by gorgeous lady I hope you are well.